Work Hours Operates Monday - Saturday November 1 to April 30 And Tuesday Thursday and Saturday May 1 to October 31 at 9.15am departs at 9.15am returns 11:30am. Mt Wellington is a spectacular and panoramic backdrop for the city of Hobart. Standing 1,270 metres over Tasmania’s capital city, Mt Wellington is Hobart’s highest peak and the view from the summit is absolutely breathtaking. 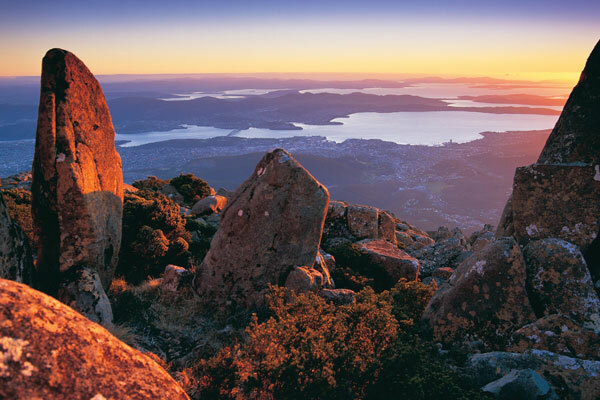 Crowned by alpine vegetation and dusted by snow in winter, Mt Wellington tours will enable you to glimpse over the unfolding panorama of Hobart city, the Derwent River and Hobart’s surrounding suburbs. On a clear day, you can see as far away to the southeast forests, northwest to the Derwent Valley and to the Tasman Peninsula, home of the famous Port Arthur Historic Site! On your Mt Wellington tour, you will travel through the historic Battery Point before ascending up the mountain – all the way to the summit! Experience Tasmania will allow you to really experience all that Mt Wellington has to offer including an extensive history of the area within the interpretation centre at the summit of the mountain. Let’s not forget the unforgettable views which you will experience. You won’t want to forget your camera on this incredible trip! Also, make sure you wear comfortable clothes and arrive at Brooke Street Pier prior to departure time.